The first law of thermodynamics states that energy cannot be created or destroyed, but can be converted from one form to another. When heat flows into or out of a system, the system gains or loses an equal amount of energy. Stated more formally, the change in the internal energy for a system depends on the net amount of heat transferred to it, as well as the net work done by the system. You may wish to read the Bright Hub article on heat transfer if you need a refresher on this subject. Mankind is not the only living creature who exploits this law for his benefit. 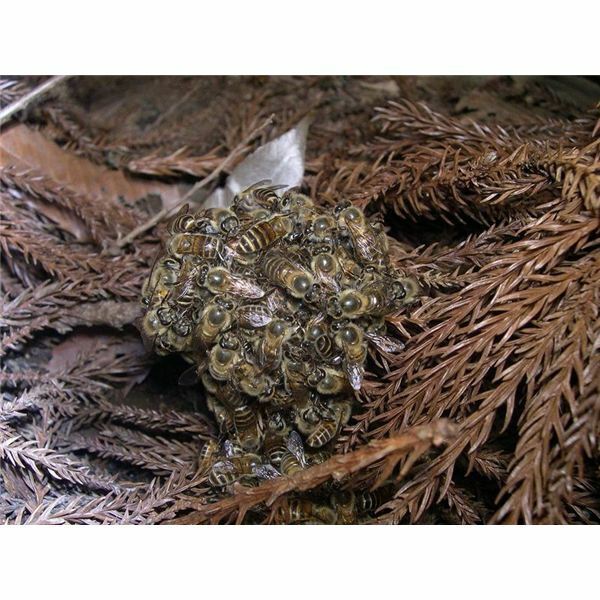 The ongoing battle of Japanese giant hornets versus native honeybees is a prime example of the first law of thermodynamics at work. The giant Asian hornet or Japanese giant hornet Vespa mandarinia japonica is the world's largest wasp, reaching lengths up to 4.5 cm (1.8 inches) with 5.5 cm (2.2 inches) for the queens. Their stingers can be as long as 6.35 mm, which is a quarter of an inch. These hornets are predators that like to raid honeybees. Their modus operandi is to send an advance scout to find a hive. Once that's done, the hornet marks it with a pheromone, leaves, and then returns with a small band of sisters. The marauders kill off all the adults in the hive, gorge themselves on honey, and then bring back the bee larvae and pupae to feed their voracious young. European honeybees were imported into Japan so that farmers could use them to pollinate their fields. Lamentably for them, they are defenseless against these hornets, which are five times their size. They also have problems detecting the presence of the pheromone. When the scout returns with fellow raiders, the European honeybees do battle one by one, trying desperately to sting the thick hided hornets. And one by one, the hornets rip their heads off. 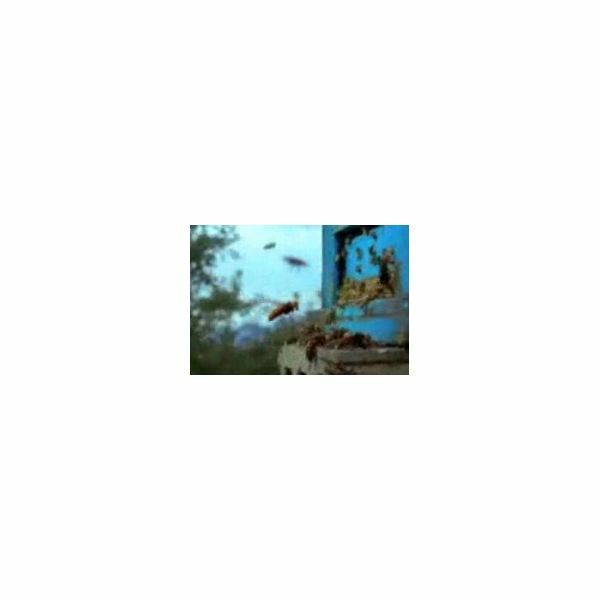 It is not unusual for 30 hornets to kill off a hive of 30,000 adults as shown in this BBC video. Watching the bees' futile attack, one is eerily reminded of Tennyson's The Charge of the Light Brigade. The reception given to the predators by native Japanese bees is entirely different. When the bees spot the advance scout, they set a trap. They lure the unwitting hornet into their domain, but don't attack immediately. They wait, signal to each other, and then at the last minute, swarm the hornet, hundreds at a time. They don't sting it. Instead, they all begin vibrating, raising their body temperatures from 95oF or 35oC to 117oF degrees or 47oC . They can go as high 118oF (48oc). The hapless hornet, however, can only withstand temperatures up to 115oF or 46oC. The bees therefore effectively roast the hornet to death! You can watch a real live battle on this National Geographic video. Keep an eye out for minute 2:21, which uses thermal imaging to show the temperature changes during the fight. Though the hornet sting is extremely painful to humans, has the ability to dissolve human flesh, and is deadly if left untreated in victims with allergies, the hornets are not the same threat to us as they are to the honeybees. If perchance you find yourself in Japan, you may wish to partake of them. They are regarded as a delicacy, and are eaten fried. Because the saliva they develop when they feed their young gives them extra speed and power, the Japanese use it in their sports drinks.